The 1-VCAP and 4-VCAP wall-mounted panels provide remote volume control for one or more VCA-controlled channels. 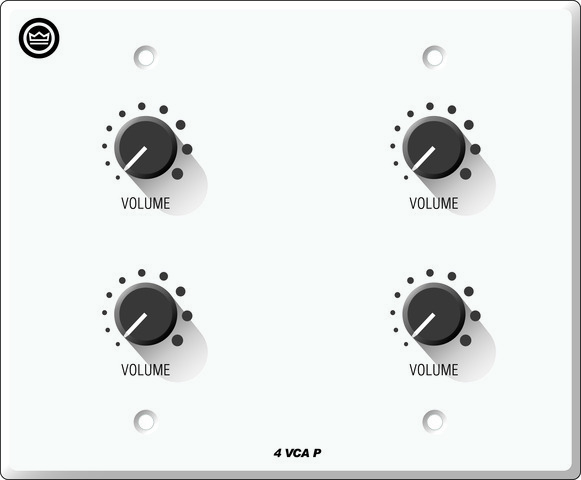 The 1-VCAP is a 1-gang panel with one potentiometer, and the 4-VCAP is a 2-gang panel with four potentiometers. The potentiometers on the panel are wired directly to the VCA connectors on the VCA-MC module accessories for CTs 4- and 8-channel amplifiers, or to the VCA connections on Commercial Audio Series products.